Ananya Beachfront. This low rise beachfront condominium is located in Naklua area, just next to the famous seafood Restaurant “Moom Aroi”. 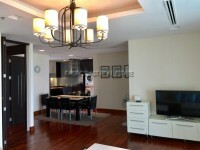 The rental price of this 2 bedroom condo is 50,000 Baht/month with a 12 month rental contract.